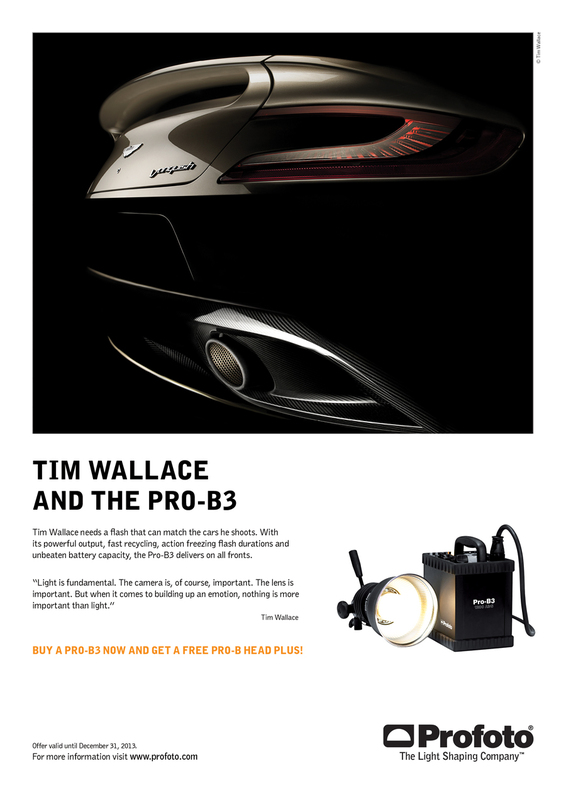 This week saw the European release of a series of advertisements by Profoto for their new B3 lighting products featuring the work of commercial car photographer Tim Wallace. 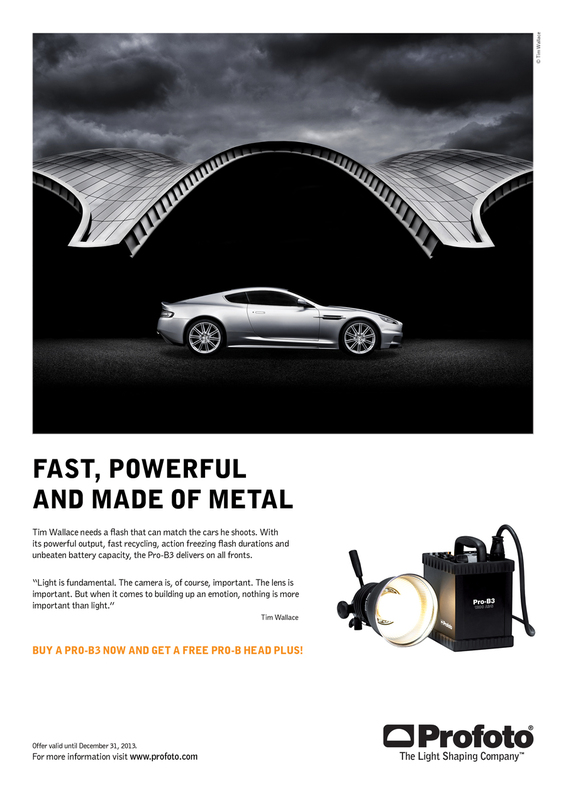 Three main shots were used for the majority of the campaign, the first a detail rear lit capture of the all new carbon fibre built Aston Martin Vanquish, the second a dynamic lit road / rig capture featuring again the Aston Martin Vanquish and finally a more artist based graphic capture of the Aston Martin DBS shot in front of the Sage opera house in England. 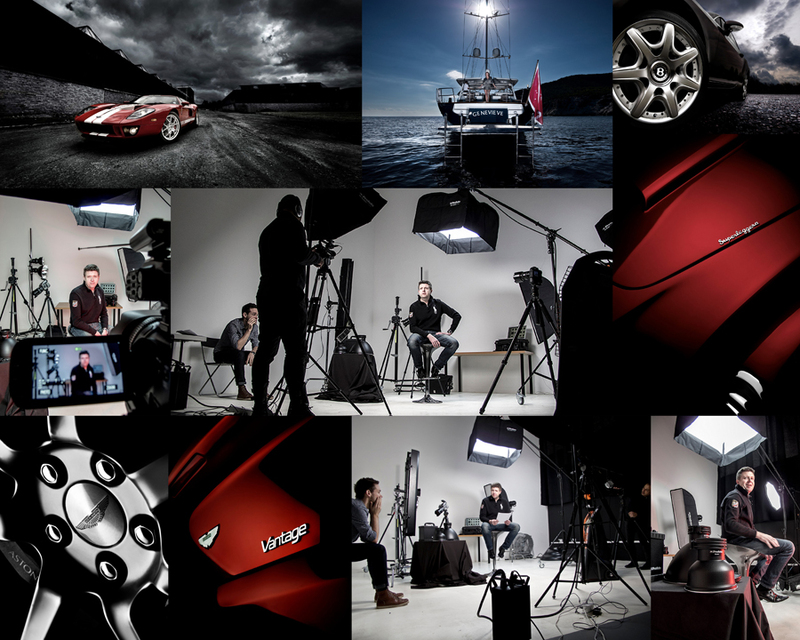 Profoto is a major driving force in the manufacturer of professional lighting systems aimed at the professional photographer and Tim has been working with them for many years, both from a stance of using their lighting equipment to produce some of his own commercial work but also with Profoto in a support role along side others such as Hasselblad when he gives his 'live shoot' seminars at client sites such as Land Rover. 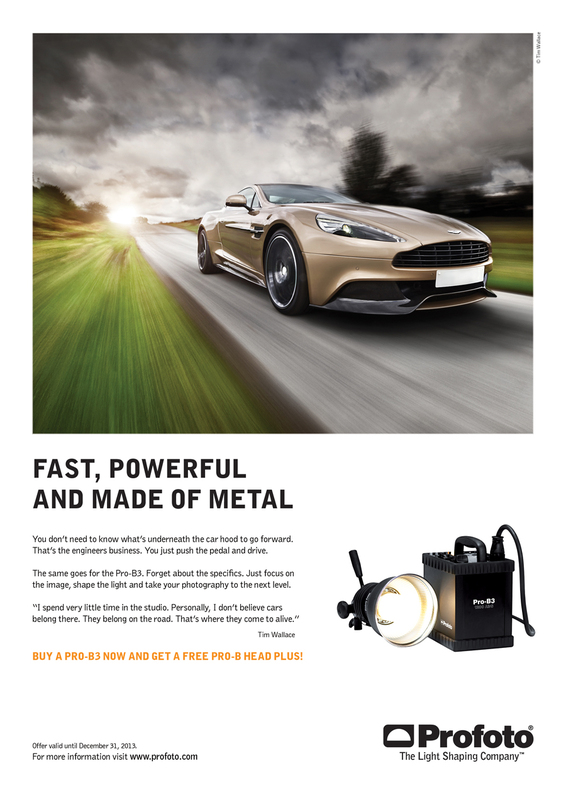 Profoto was founded in 1968, in Stockholm, by photographer and engineer Eckhard Heine and photo equipment retailer Conny Dufgran, both Swedish. Their relationship started out with mr Dufgran selling mr Heine a new flash unit - that didn't work. Annoyed with the failing unit, mr Heine went home and invented a new type of flash, with the focus on durability. Simply by walking around in Stockholm for two weeks, he immediately sold 25 units. 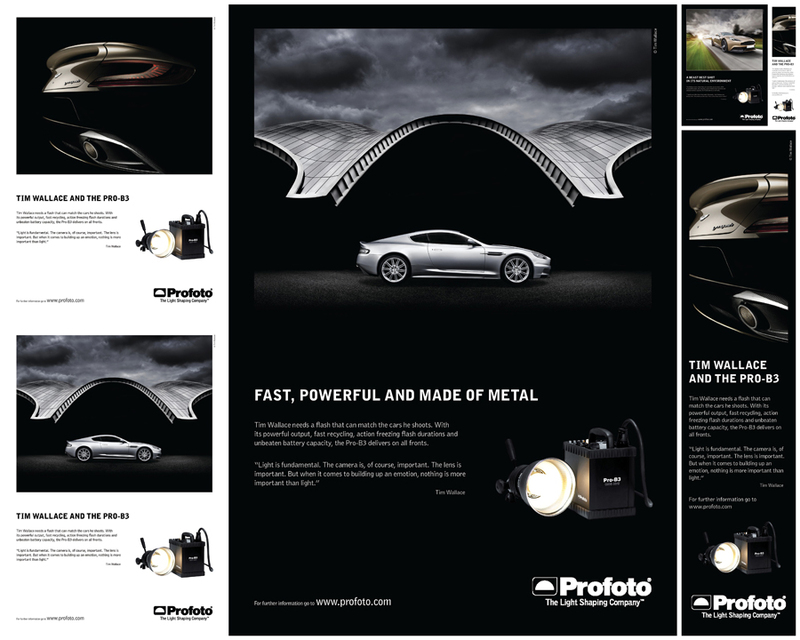 Profoto was born - with a bang - and a few months later Eckhard Heine and Conny Dufgran launched the new Pro-1 generator internationally at the Photokina trade show in Cologne. 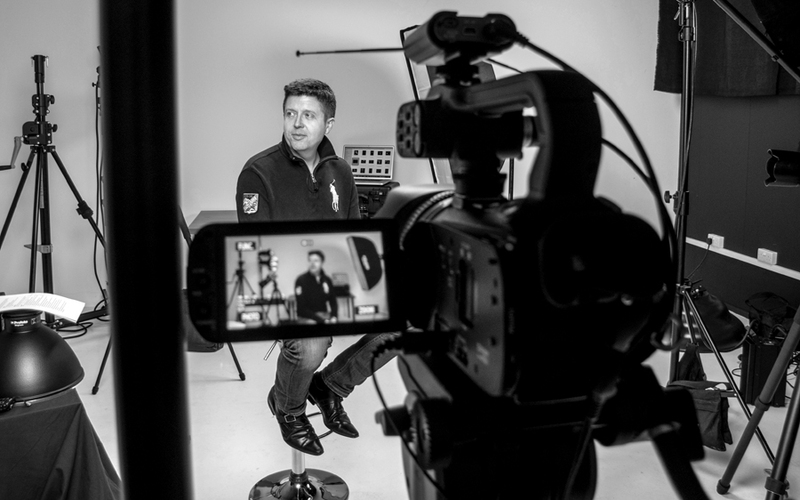 Recently Tim was also interviewed by Profoto Sweden where following that a set of 3 of their famous 'Masters' interview's were released where he discusses his work, lighting and his feelings towards what makes a successful commercial image in todays market. 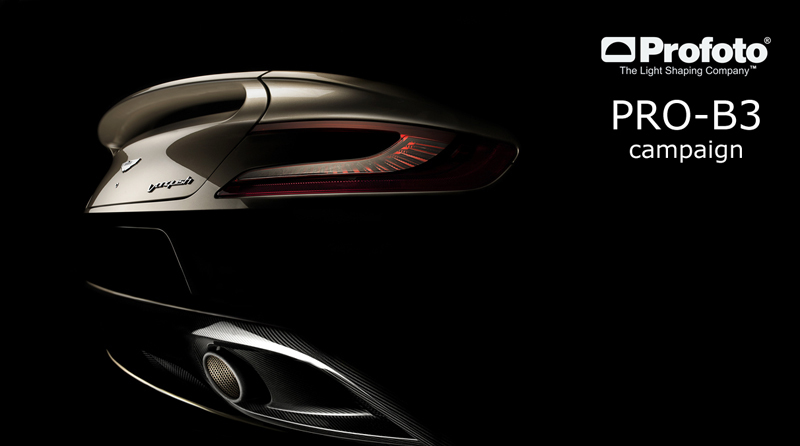 The interviews are part of the 'Master Series' of films that Profoto produce featuring renowned professional photographers from around the World.